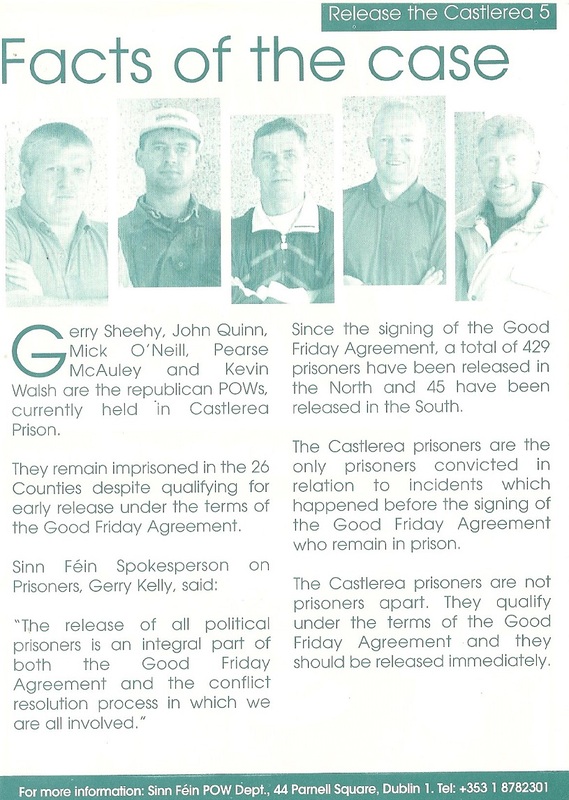 From the early 2000’s a “Release The Castlerea 5” leaflet from Sinn Fein. Sinn Fein wanted them released under the Good Friday Agreement. The Castlerea 5 were Gerry Sheehy, Pearse McAuley, John Quinn, Mick O’Neill and Kevin Walsh.